If I boycott Trumpland, I believe this only good reason to put a foot in The United States of America in these time, it is to add a stronger message, launch an important discussion with the right people... Foster some change. Or maybe he just likes the "vibes" of NYC...? 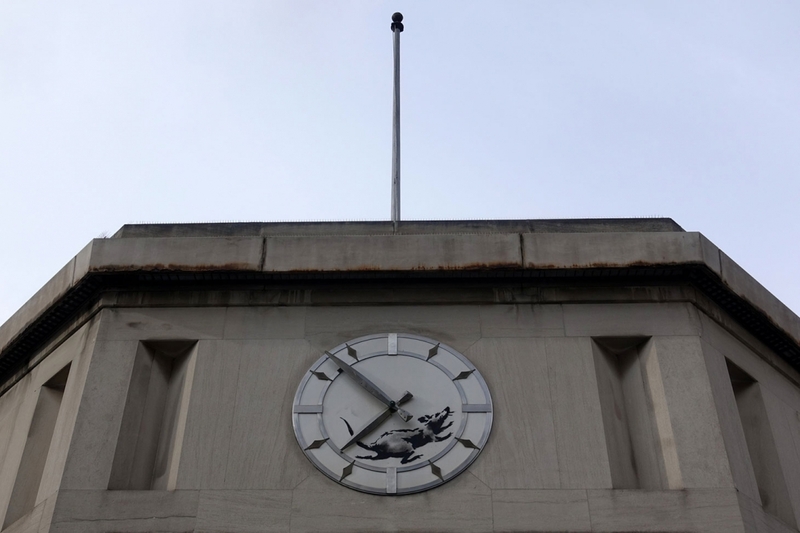 Banksy first notified the public of his latest artwork on his Instagram account yesterday. 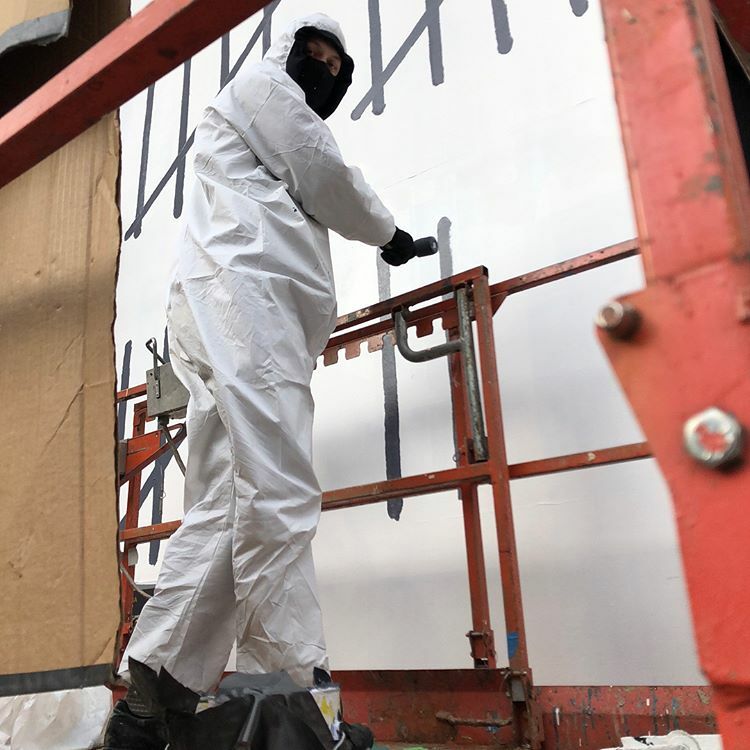 Banksy’s latest creation adorns a large single-story commercial building located at 101 West 14th Street, which is slated for demolition. In December last year, a developer filed plans to tear down the building and replace it with a 13-story condo building. The new structure, designed by ODA New York, will bring 45 apartments to the neighborhood along with ground floor retail. Banksy’s latest work in NYC comes five years after the artist did a month-long residency in the city, in the fall of 2013. 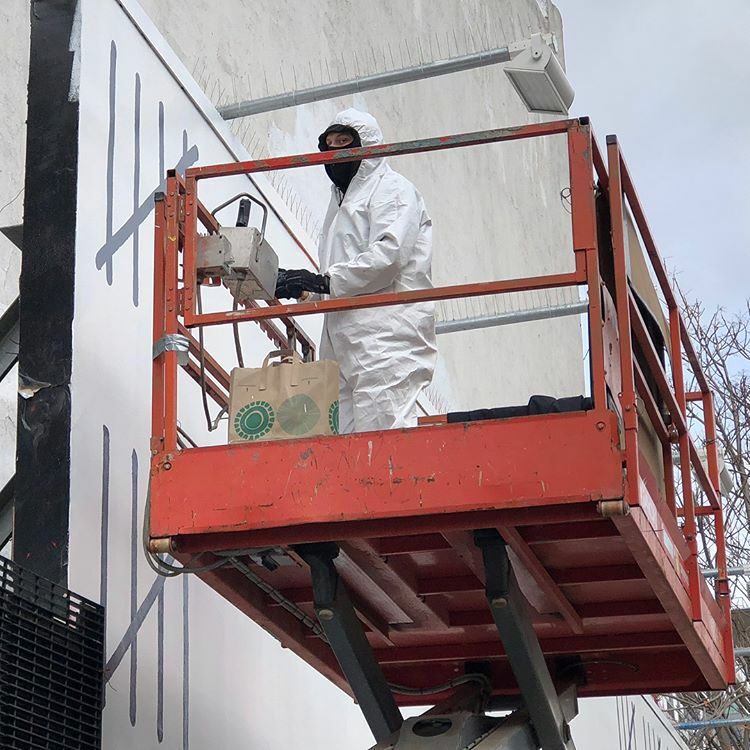 It’s not yet clear if this is the start of a new series in the city, but sadly for Banksy fans, his latest work will be lost when the building comes down in the coming months. 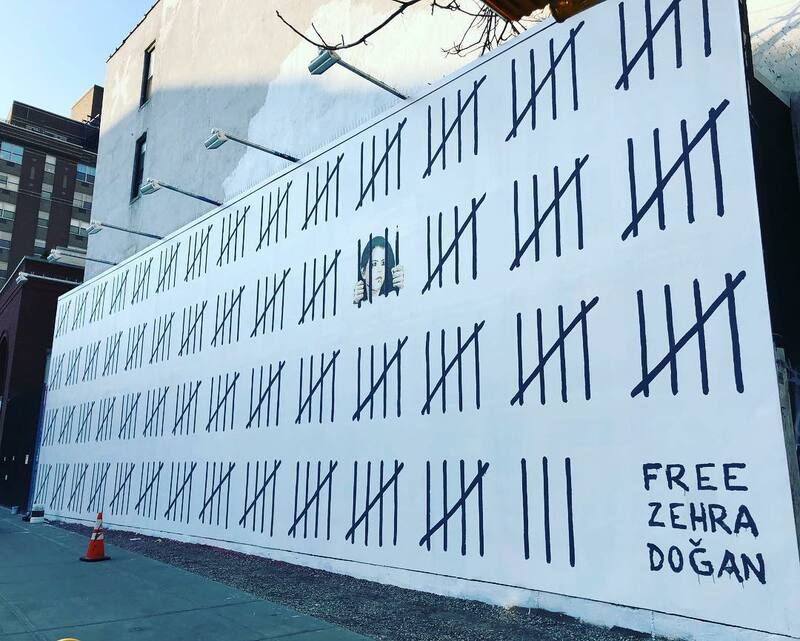 The elusive British artist is also responsible for the latest mural to adorn the Bowery Wall; the piece is meant to bring awareness to the imprisonment of Zehra Dogan, a Turkish artist who was jailed for “creating a painting of a Turkish city heavily damaged by state security forces,” according to PEN America. 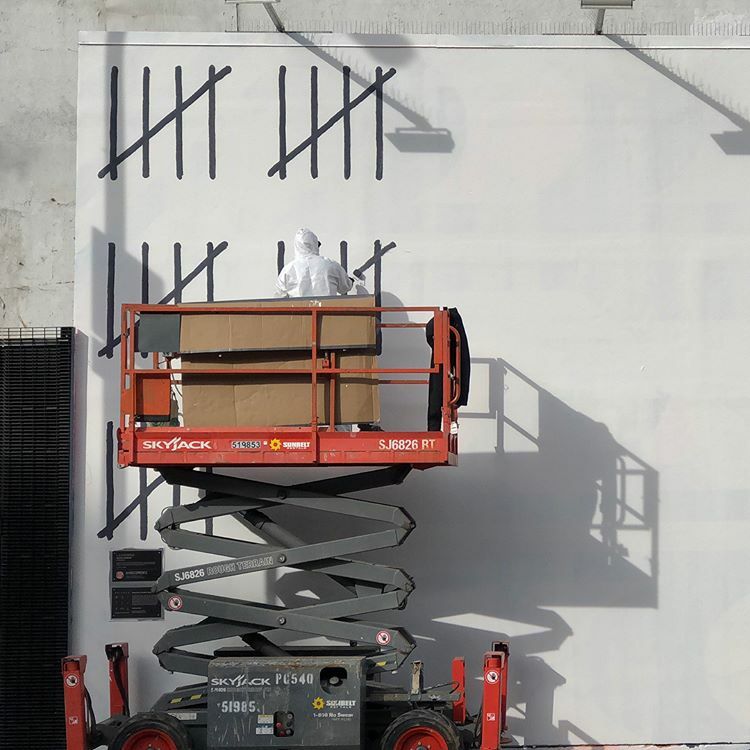 Banksy is the latest artist to take over the iconic Houston Bowery wall, made famous in the 1980’s by artist Keith Haring. 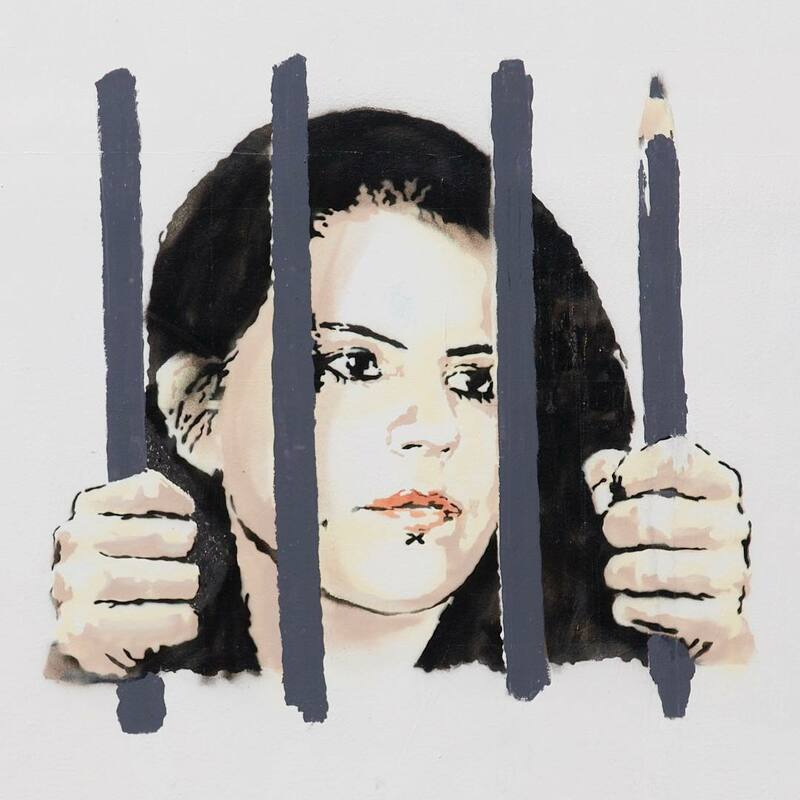 After a 5-year hiatus from New York City, the world’s most famous street artist Banksy is back with a mural depicting the controversial incarceration of Zehra Doğan, the Turkish Journalist who was jailed for simply painting a watercolor. 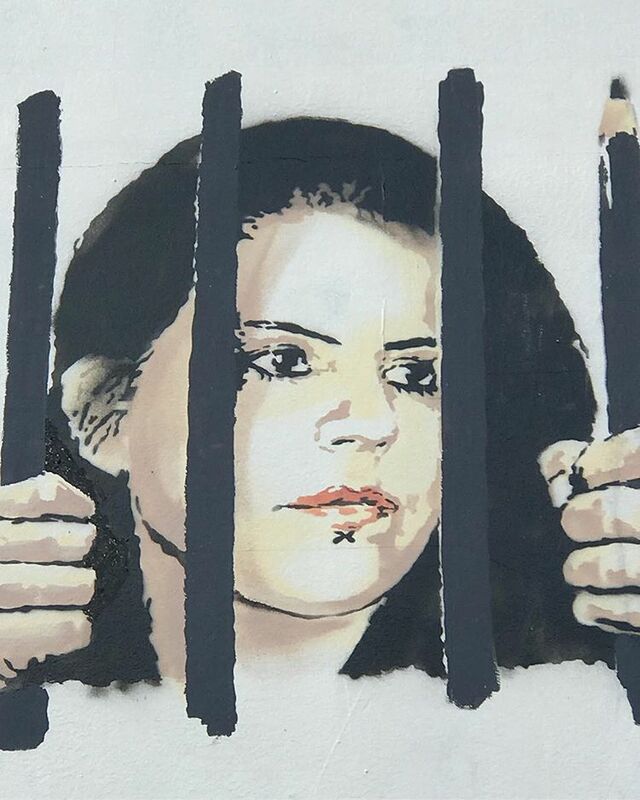 Banksy’s black and white mural resembles the jail that incarcerates Turkish artist, journalist and activist, Zehra Doğan, with her trapped behind bars. 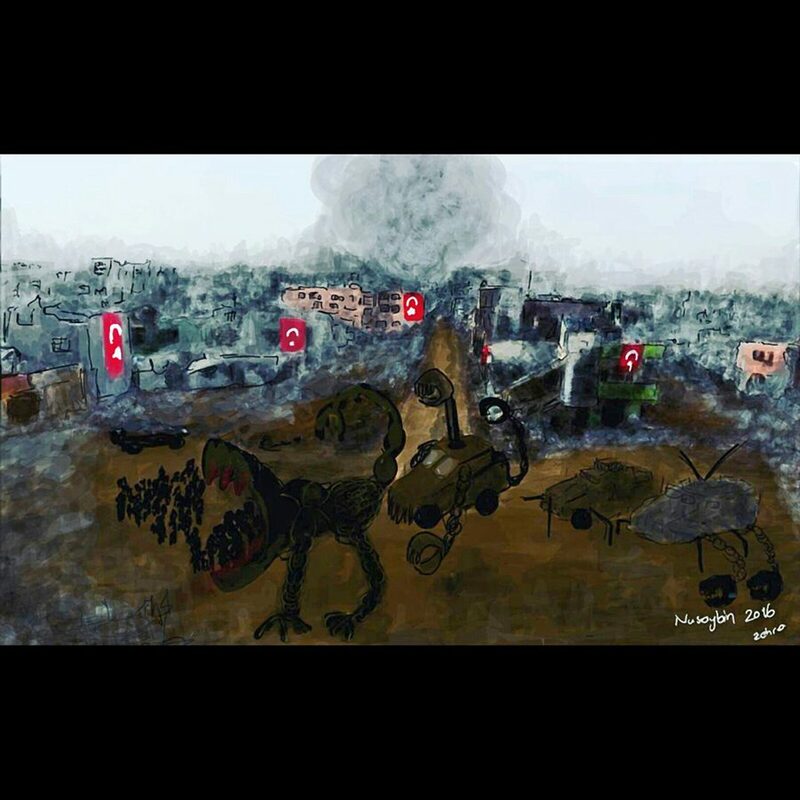 Doğan painted a watercolor of the town of Nasyabin, which was reduced to rubble following an attack by the Turkish Government’s armed forces. She shared her picture on social media, for which she was then arrested and sentenced to nearly three years in prison. 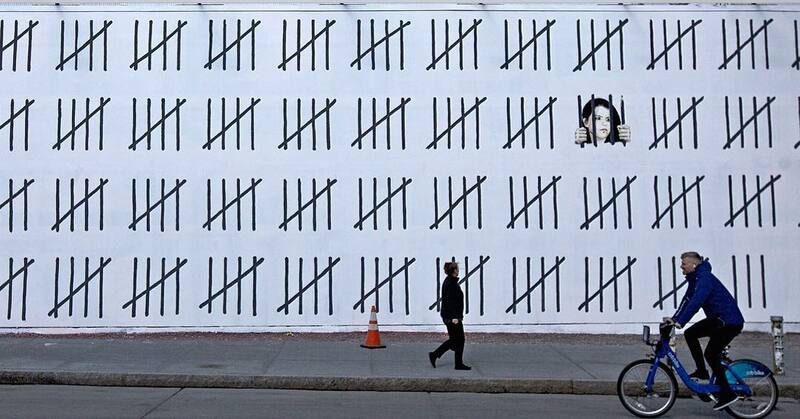 Banksy’s mural has been timed to coincide with the anniversary of Dogan’s first year in custody, and alongside the artwork is a call for her release. 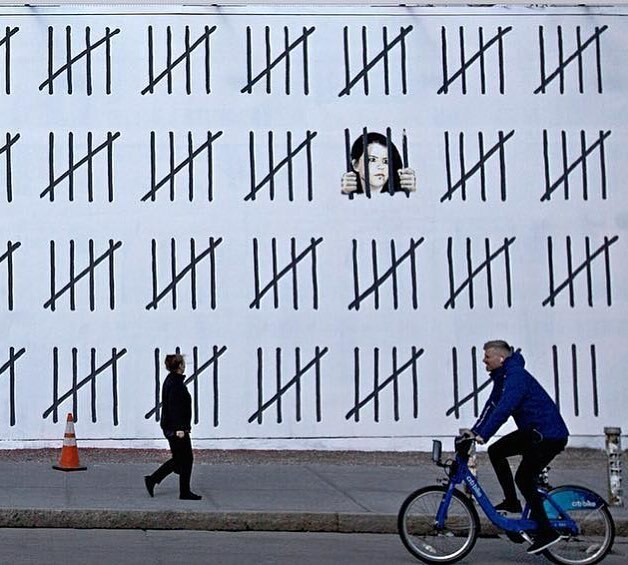 The tallies represent the number of days she has been incarcerated, and at night, above the mural itself, is an impactful projection of Doğan’s watercolor that landed her in jail.